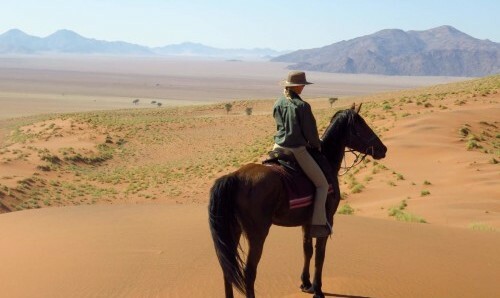 We have one combination horseback safari in South Africa and Botswana. This is a fantastic adventure, which combines great elements of the two wonderful countries. 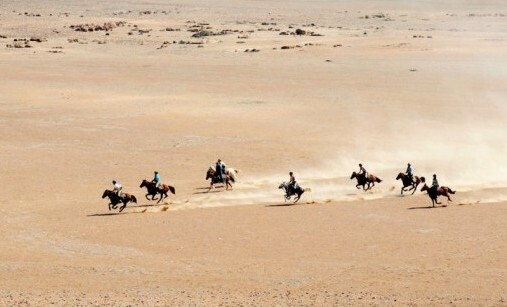 The first night of horse safari sees you reach the tented Camp Davidson, where you will spend the following four nights. 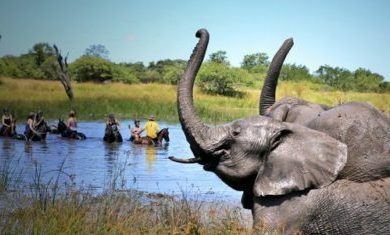 On the fifth day, make the transfer by road to Botswana in order to explore the Tuli Block for three wonderful nights. The Waterberg is an exceptional and internationally recognised natural heritage site. 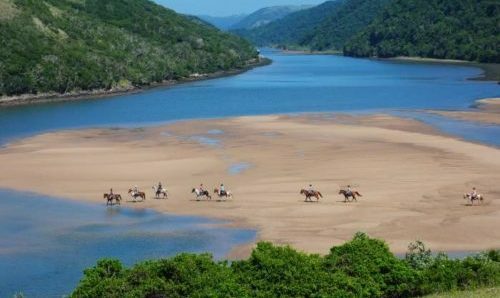 The area offers unique wilderness with stunning panoramic views, dramatic gorges, rolling hills and crystal clear streams. Consequently, there is worldwide acknowledgement of the Waterberg’s iconic beauty and bio diversity. 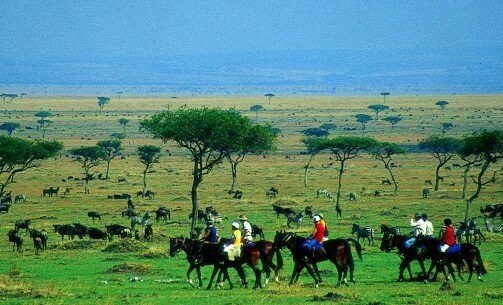 The area boasts the status of a World Biosphere reserve by UNESCO and is the only savanna biosphere in the world. 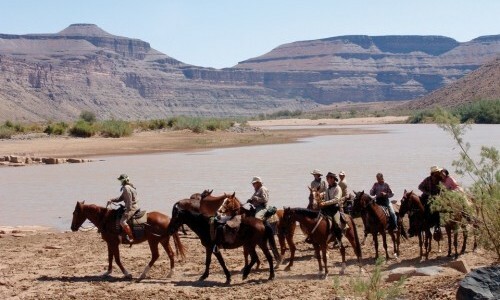 A small working ranch, in the depths of the Waterberg, provides the base for Horizon Lodge. 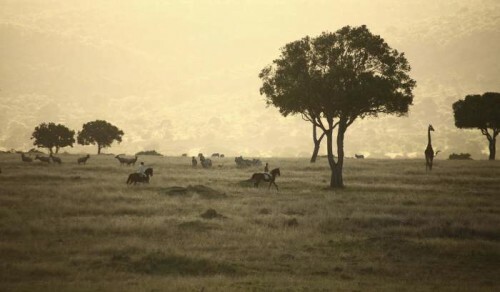 The ranch itself has a large herd of cattle. This area and the neighbouring reserves are home to giraffe, hippo, jackal, hartebeest, impala, kuda, zebra and baboon. 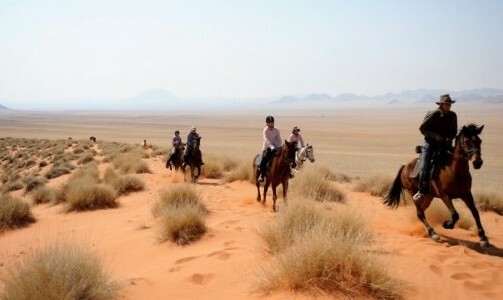 Spend half a day riding to Horizon’s tented-camp – Camp Davidson, high up in the bushveld, above the Matlapeng Valley. 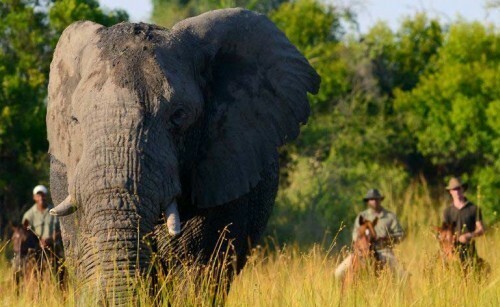 The Tuli Block, or ‘Land of Giants’ as it is often known, is located on Botswana’s eastern border. It falls between Zimbabwe to the north and east and South Africa to the south. 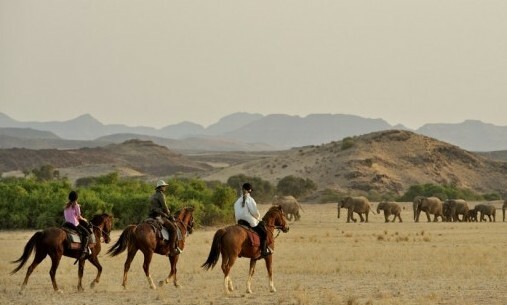 The nature reserve protects and conserves the large area it covers – known as the Northern Tuli Game Reserve.